Exopest mice control solutions at your door steps. Image by : “Мышь 2” by George Shuklin (talk) – Own work. Licensed under CC BY-SA 1.0 via Commons. Mice are mammals belonging to order “rodents”. Their most common species is “house-mouse” which is mostly found in homes, hospitals, storage godowns and field mouse are found in crops. – long scaly tail and cylindrical trunk. They inhabit holes, dark places and burrows with long tunnels. They are actually “night riders” which come out in darkness and seek help of their intensely sensitive sense of hearing. How to identify mice to control? Mice have brown to grey fur with comparatively longer snout and tail than voles and moles. They have small eyes and prominent ears. Mice are herbivores which mostly feed on seeds and berriess as well grains, the most favourite to them. Mice are quite harmful creatures that’s why mice control is very necessary as it cause structural damages to buildings, crops and spread diseases like plague and hantavirus through their parasites and feces. Baits: They have a high success rate if used properly by the pest control professional. Mouse repellents: An effective and economical method being offered by Exopest with good results which kick mice out of their shelters. Mouse Killers: A good alternative to mouse-repellents with much better results that Exopest is offering for the welfare of community. Mouse Traps: It is one of the most famous and recognized common and oldest method to kill mice is using mouse-traps. Once mice invade your homes and stores, its somewhat difficult to get rid of them without causing damage. So with the help of Exopest’s professional Mice Control Products and Mice Prevention, you can prevent them entering your territory by blocking and sealing the entry sites and doing other preventive measures as per strategies of Exopest for mice control Vancouver. Call us immediately 604-760-1542, we are ready to serve our clients 24/7 without any hesitation. 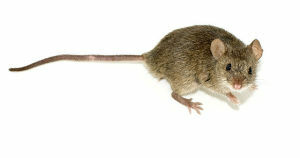 Exopest team have best professionals for mice control at home.